• Call For New Blues Talent! Call For New Blues Talent! 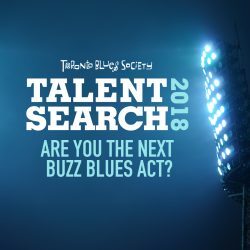 Attention emerging Canadian blues artists…The Toronto Blues Society Talent Search is back! Six finalists will be chosen to perform at the finals taking place at Nathan Phillips Square during City of Toronto’s Tasty Thursdays on Thursday August 16, noon-2pm. 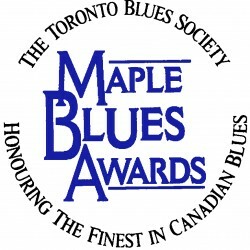 The finalists will compete for a grand prize which includes a showcase at the Blues Summit Six, a performance at the Southside Shuffle Festival, a show at The Delta Chelsea Monarchs Pub, a photo shoot with Bill King, recording/mixing time at Revolution Studios, and consultations with industry professionals! Submissions are open now, and close on Friday June 15 at 5pm. You may submit through Sonicbidshttp://www.sonicbids.com/Opportunity/OpportunityView.aspx?opportunity_id=106751 or send a physical package to the TBS office (Talent Search Submission, 910 Queen Street West, Suite B04, Toronto, ON, M6J 1G6) with a CD, one sheet, and a cheque for $15. Eligibility is limited to acts who are not on a major label, do not have a major distribution deal (i.e. not distributed to retail stores) and have not been chosen as a finalist in a past edition of the talent search. Finalists will receive a small honorarium. Do you feel like travelling this weekend? The Chicago Blues Festival returns to Grant Park June 8-10 featuring Joe Louis Walker (pictured), Johnny Rawls, Big James and the Chicago Playboys, Rev KM Williams, L’il Ed & The Blues Imperials, Mavis Staples, Eddie Shaw & The Wolf Gang, Pistol Pete Band, Pat Brown, Eden Brent and many more! 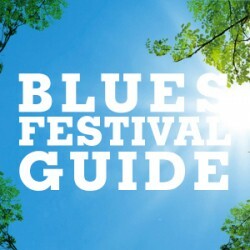 Check out these blues festivals and start planning for the warm weather! Stratford Blues & Ribfest – June 22-24 http://stratfordbluesandribfest.ca/ Featuring Shakura S’Aida (pictured) and more!